The brothers were given the responsibility of running the printing press established by their father, who was well connected with the glamorous world. An uncle named Ravi was a well known music director and often took them to watch film shoots in Bombay. The actress Mala Sinha was a regular visitor at home. This way they continued to keep their personal interest in Bollywood alive and kept up to date with all the happenings. Dreams never die; they remain with you forever as faded or forgotten fantasies. 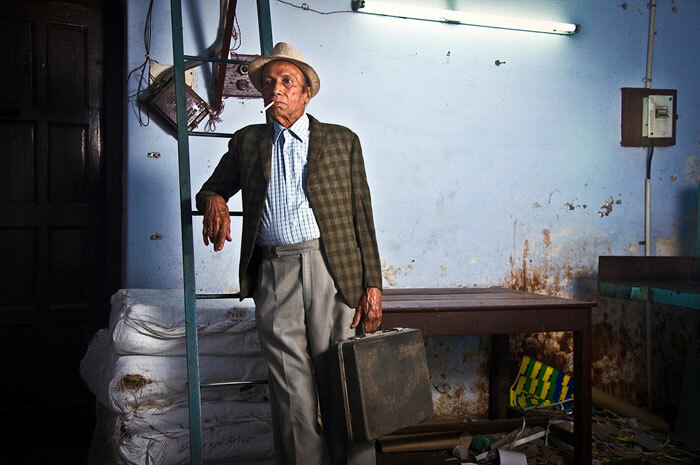 This photo series captures my grandfather’s story and his dream, listening to which I grew up. Kannagi Khanna studied audio-visual production at SIMC, Pune. Her works include a documentary with National Geographic Channel and a cover shoot for Gulzar’s latest novel by Penguin Books. Her previous photo series ‘Hollywood’ was exhibited in Delhi Photo Festival 2011, and published in Better Photography, Kyoorius Design Magazine, and Biblio to name a few. She was nominated for the TOTO Awards 2012, for emerging young talent in the field of photography. Kannagi is currently based in Mumbai. Previous Previous post: First Glimpse..!! Next Next post: Another Great Show at Pondy Photo 2014..